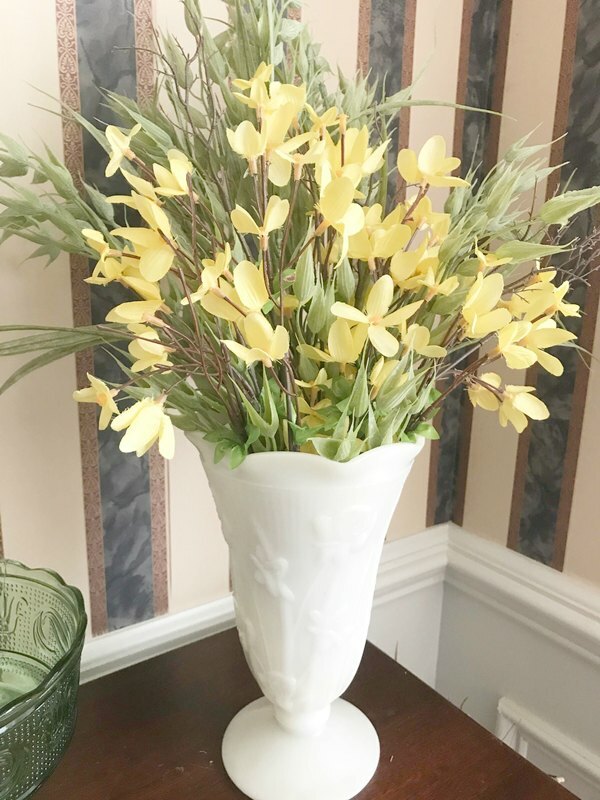 I love all of the pastel colors of spring time, but I rarely decorate with yellow. 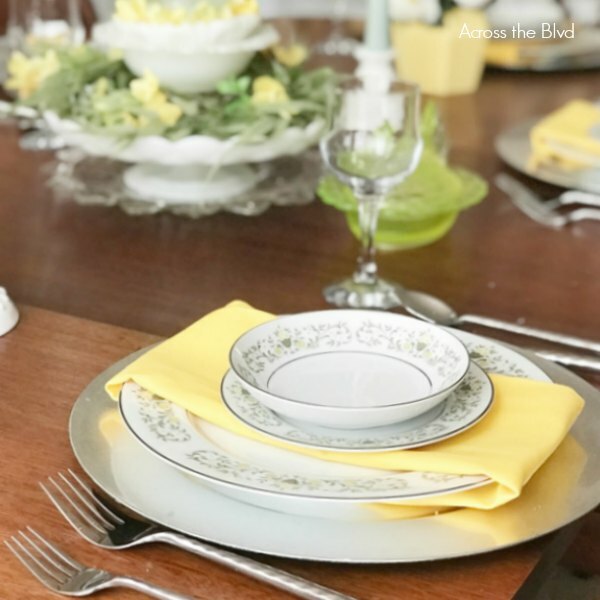 This year, I’ve changed things up and I’m enjoying our spring tablescape with vintage china and milk glass with lots of yellow accent pieces. 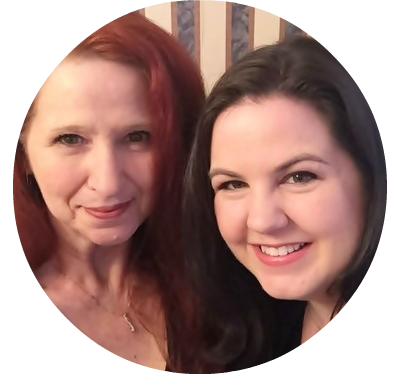 If you’ve followed me for long, you’ve read about my mother going to live with my sister and how we all received assorted items from her. I’ve shared a vintage vanity that got a makeover and a small dinette set that was also given a makeover that Gloria now has in her home. While I’m enjoying giving new life to some of my mother’s furniture, having her china is special. 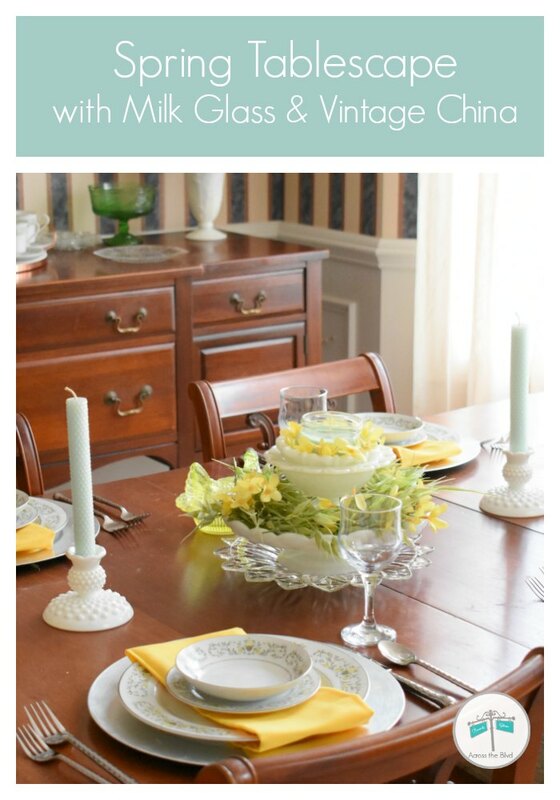 I knew that I wanted to use it to create a pretty spring tablescape this year. This china is Sterling Fine China from Japan and the pattern is Florentine. She had ten place settings plus some serving bowls and a coffee serving pot. 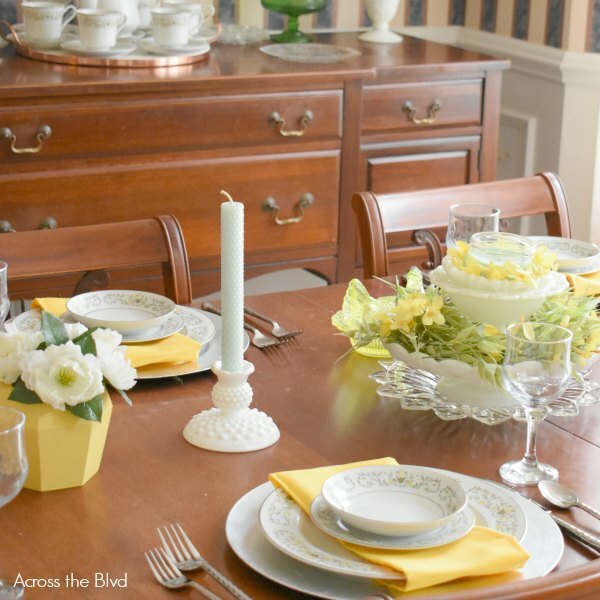 To create the yellow accent pieces, I sorted through some of my thrift store finds. I had these two wood planters that were just the right size for what I had in mind. 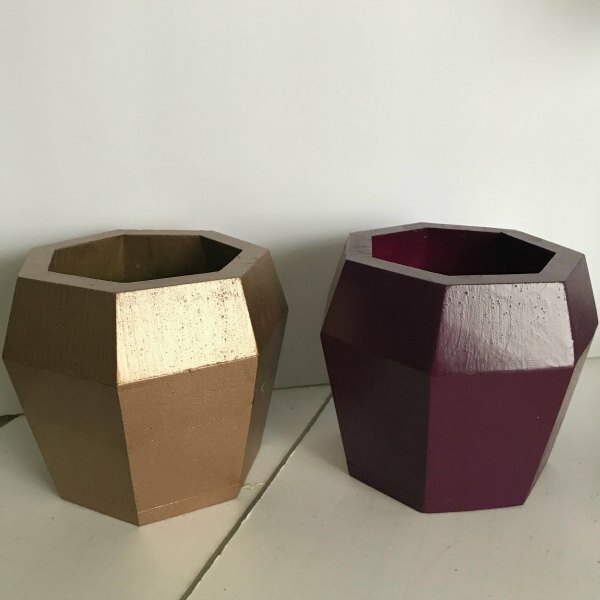 Both of the planters were given two coats of Waverly Chalk Paint and filled with some faux floral blooms. 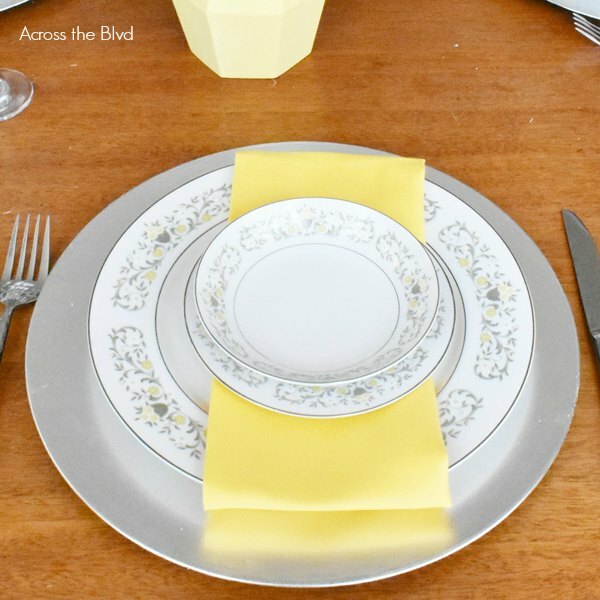 I’m using gray chargers with yellow napkins for each place setting. To include more vintage pieces, I raided my milk glass cabinet and decided on layering some pieces. A cake plate is topped with a lace edged bowl. A small bowl is placed inside of that one. Once I had them layered, I added in yellow and green floral stems. Hobnail Milk Glass candle holders are on either side of the centerpiece. The light green candles are beeswax honeycomb candles that I bought at a lovely local shop that features lots of handmade items in Greensboro, NC. I found these marble coasters recently at Home Goods. I love the hint of gray in them. Now that I’ve put it all together, I’m enjoying the tablescape with its yellow accents. 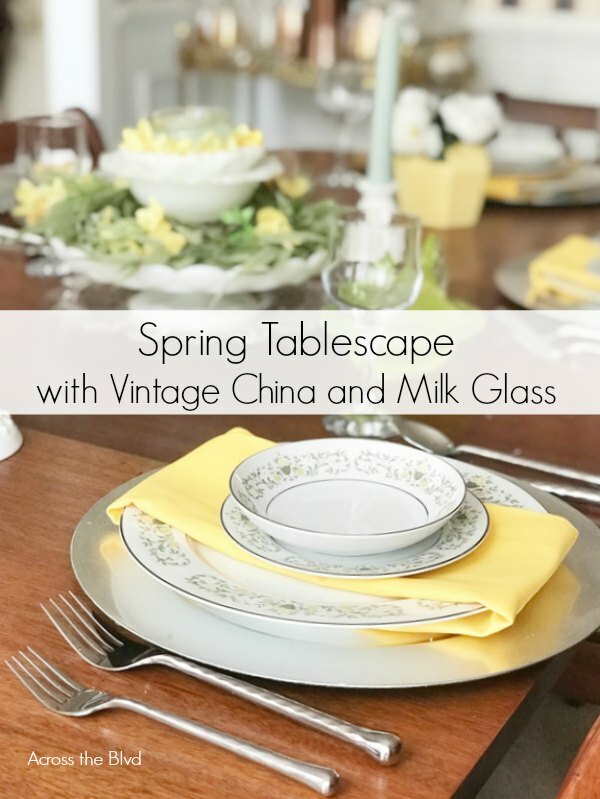 I love combining vintage items with new pieces to create a unique table setting for spring. Once I finished with the dining table, I added some pieces to the buffet. The serving pot and cups are the centerpiece for the dining room buffet. You can’t have a southern dinner without a pitcher of sweet tea. 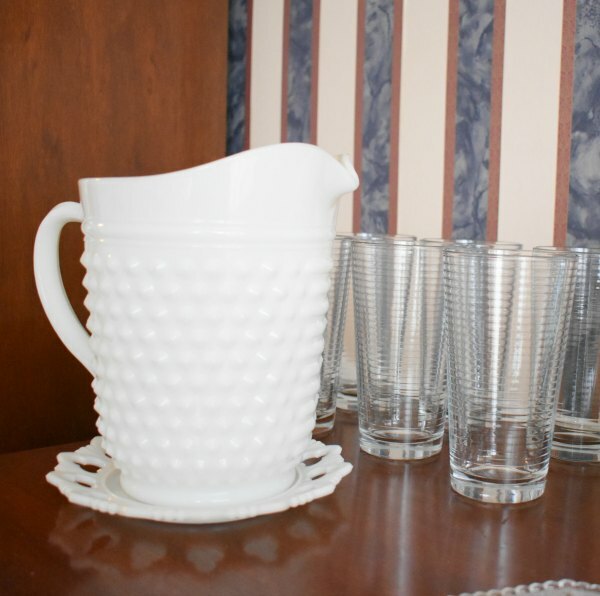 This hobnail milk glass pitcher is a favorite piece. Are you a fan of milk glass? I fell in love with it years ago and I’m always happy when I find a piece that I love that I can add to my collection. Gloria also loves it and she’s incorporating some pieces into her farmhouse decor. You might see that pitcher in some posts we’ll be sharing from her house warming/engagement party. I told her she could have a few of my pieces and I knew she loved the pitcher, so it was one that I asked if she wanted. She was quick to say, Yes, please! 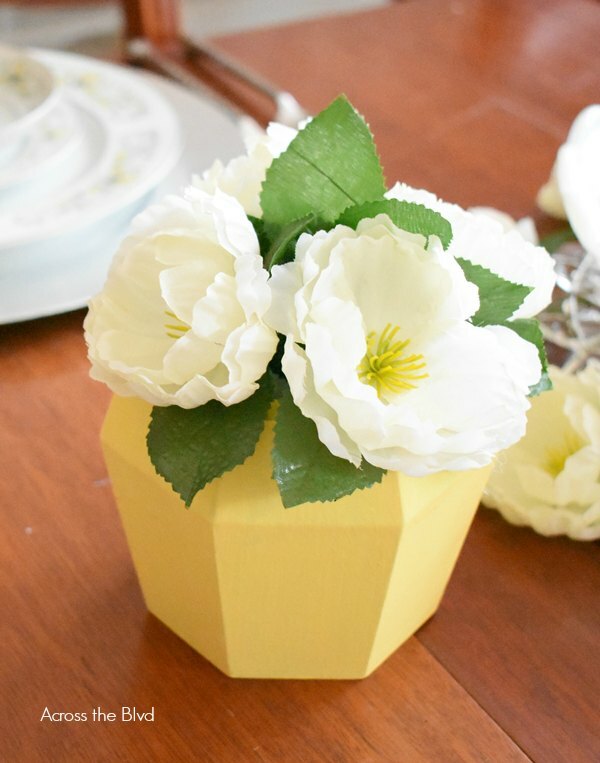 I think you’ll enjoy these easy spring craft and decor ideas, too! That is stunning! I love the color palette. Pinned. Thanks so much, Joanne. I appreciate the pin! 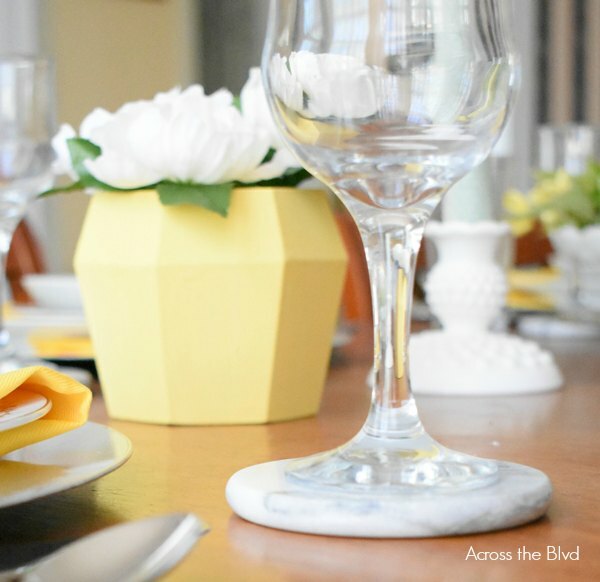 I’m in love with the Milk glass and yellow combo! Then you used Vintage China too. It’s just so pretty. I’m enjoying the color combination, too. Thank you, Shirley! I was happy to have found a pretty way to use my mother’s china. 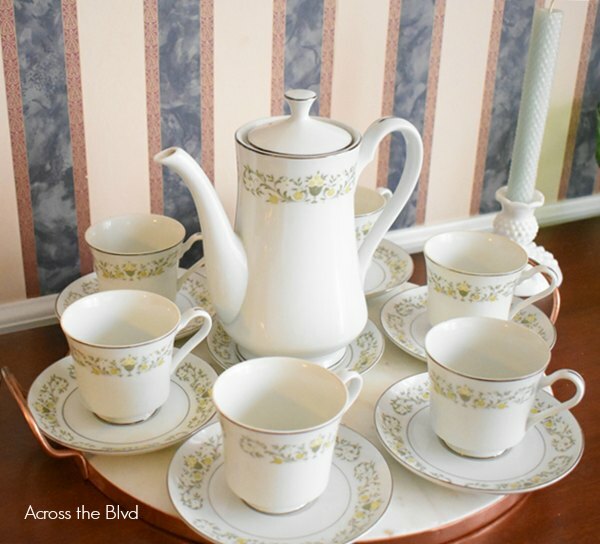 Lovely tablescape with such a sweet and classic and elegant china. Thanks so much, Fabby. I’m enjoying the look. 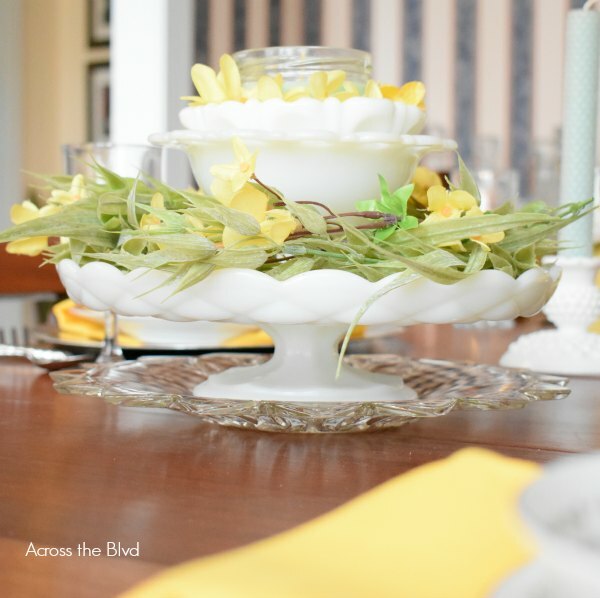 I love the way you stacked the milk glass pieces to make the centerpiece. The yellow napkins pop! Good job. I like giving some height to the centerpiece and this was an easy way to do it. 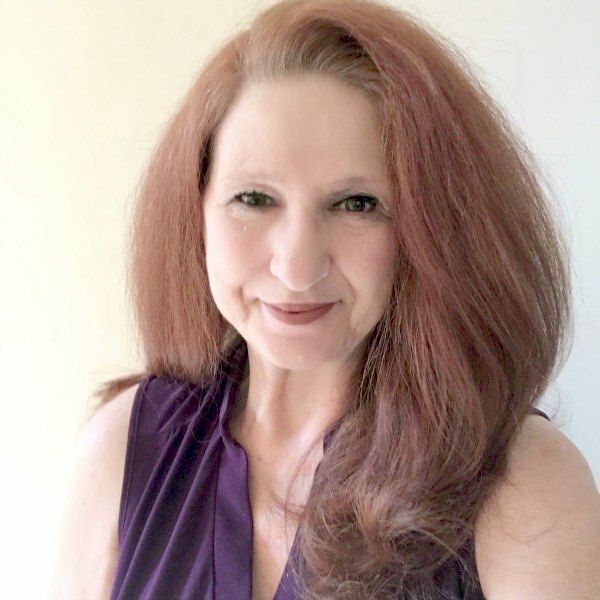 Thank you, Kristie. Lovely vintage table ready for Easter. Thank you, Kippi. All it needs is a bunny or two to transition from spring to Easter. your tablee is so special with your mother’s china, Beverly. 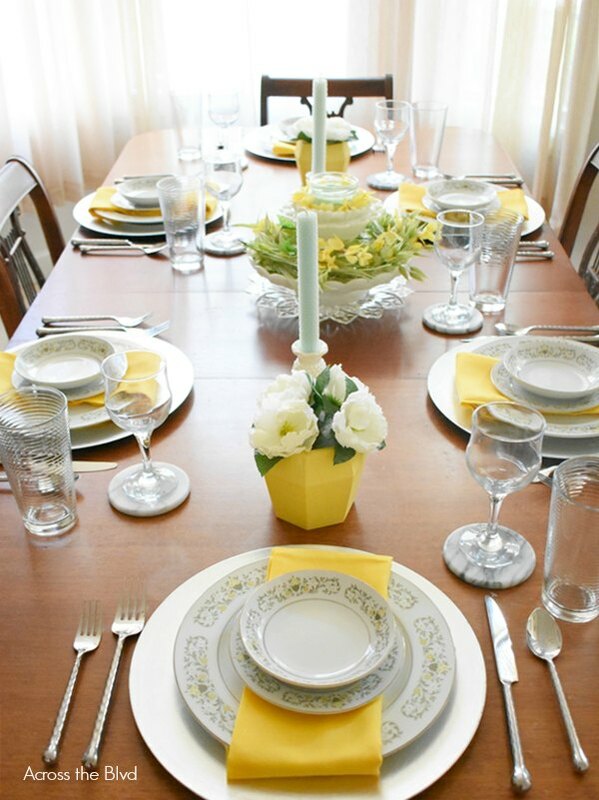 It is so cool that the two of you collaborate and come up with beautiful tablescapes.The yellow napkins pop of Spring color. 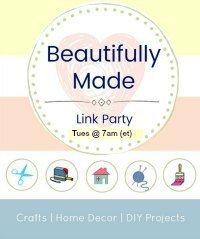 thanks for stopping by and linking up witth our celebrate your story link party. Thanks so much, Kari. I’m enjoying it. Since my mother has gone to live with my sister, it’s great to have a way to use some of her items for my decor. Gloria also has some of her items for her home. Thanks for the party. This is so bright and fresh. My mom’s favorite color is yellow, so I always love seeing it. 🙂 I love the china. I have a set of china from my grandmother, and it’s always nice to be able to use it here and there. Thanks for sharing at Sweet Inspiration! Thank you, Amy. I was very happy to set a pretty table with my mother’s china this year. Thanks for the party! Everything looks so pretty! I have several pieces of hobnail milk glass that belonged to my grandmother. Thank you, Dee! I love hobnail milk glass. How great that you have pieces passed down from your grandmother!